Professor Sir James Drummond Bone was educated at the Universities of Glasgow and Oxford. He is a professor of English literature internationally known for his work in romantic studies, particularly Byron. He taught English language and literature as a lecturer, senior lecturer and professor at the Universities of Warwick and Glasgow. Formerly senior vice-principal at the University of Glasgow, from 2000 to 2002, Professor Bone was principal of Royal Holloway, University of London. He was appointed vice-chancellor of the University of London in 2001 and vice-chancellor of the University of Liverpool in September 2002. As a university leader and manager he has been part of a number of initiatives at both institutional and national levels, many aimed at bringing the worlds of business and industry closer to universities. He co-edits the journal Romanticism. 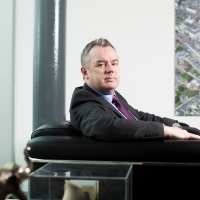 He is the chairman of the British University Chancellors Union and is a member of various committees including the Strathclyde European Project Committee, Scottish Industrial Development Committee, Scottish International Committee, Scottish Biological and Medical Research Funds Council, English Continuing Development Committee and more. Professor Fang joined the Department of Electrical Engineering at Tsinghua University as an undergraduate in 1955. In 1963 he continued his studies in the Department of Engineering at the University of Cambridge and graduated in 1965 with a first class honours degree. In the same year he was awarded a college prize and the Salomon Scholarship by Gonville and Caius College, Cambridge. In 1969 Professor Fang became a research fellow at Imperial College of Science and Technology, University of London, working on space physics. He moved to the Department of Electrical Engineering and Electronics at the University of Liverpool in 1970, where he was lecturer, reader and professor. He was the head of department from 1998 to 2001. He has been a pro vice-chancellor at the University of Liverpool since July 2005. He has been actively engaged in fundamental research and applications of low-temperature plasmas, in environment protection using ground penetration radar and in the application of neural networks to electrical power engineering. He has published nearly 200 papers in major international journals and conferences. He has given a number of keynote speeches and lectures at international conferences, universities and research institutes. He served on the committees of international conferences, the Institute of Physics and the Institute of Electrical Engineers. He was elected fellow of the Institution of Electrical Engineers in 1994. Professor Fang was a William Watson Girling Fellow at the University of Sydney, Australia and a visiting scientist at the University of Innsbruck, Germany. He is a guest professor at Tsinghua University and Shenyang University of Technology and a consultant professor at Xi'an Jiaotong University. He is a consultant to Korea Electrotechnology Research Institute, LG Systems and Hysoung Corporation in South Korea. Professor Song gained his BEng, MSc and PhD degrees at Sichuan University and the China Electric Power Research Institute in China. In 2002, he was awarded a Doctor of Science by Brunel University for his contributions to power system research and knowledge. 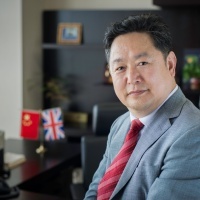 He began his academic career as a postdoctoral research fellow at Tsinghua University, China, in 1989 and subsequently held posts in the UK at Bristol, Bath and Liverpool John Moores Universities. In 1997 he joined Brunel University as a Royal Academy of Engineering/British Energy/BNFL/Siemens research professor of power systems. He was pro vice-chancellor at Brunel from 2004 to 2006 with responsibility for graduate studies. His areas of expertise cover the fields of economics, modelling, operation and management of utility networks, and in particular power and wireless networks as well as intelligent systems. He has authored/co-authored five books and over 300 papers, and has successfully supervised more than 30 PhD projects. 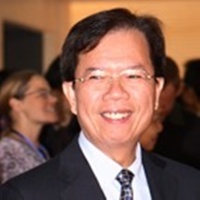 Professor Song is a fellow of the Royal Academy of Engineering, the Institution of Engineering and Technology, the IEEE and the International Eurasian Academy of Sciences. Professor Hongcai Wu graduated from Xi'an Jiaotong University in 1969 and taught there until 1972. During this time, he took part in training, cooperative research and academic exchanges in the UK and Germany. In 1979, he visited the UK, West Germany, France and Romania as a member of the higher education delegation of China, through the support of UNESCO. From 1988 to 1992, as a consul for education (first secretary) he worked in the Chinese Consulate in Manchester, UK. When he returned to China, he worked at Xi'an Jiaotong University as an academic teaching and research staff member. While there, he took the positions of deputy head of the Electronic Engineering Department, vice-dean of the University's Graduate School, and dean of the School of Electronic and Information Engineering. He is a member of the Academic Committee of Electron, Ion, and Photon Beam Technology, the Electric Engineering Association of China, the Academic Committee of Opto-Electronic Engineering, the Optical Engineering Association of China, the China Acceleration Association, the Nuclear Association of Shaanxi Province. He has also been deputy director of the Electronic Association of Shaanxi Province, deputy director of the Intellectual Economic Association of Shaanxi Province, a member of the Consultant Committee of Information Engineering of the Chinese University of Hong Kong (1998-2002), and an international member of AAAS (USA) and the New York Academy of Science, USA. Professor Jeremy Smith graduated from University of Liverpool and was awarded his PhD Degree in 1990. Since then he has taken teaching positions as a lecturer, senior lecture, reader and professor. In 2006, he became the academic dean at XJTLU. He has a rich experience in teaching management and has been involved for many years in teaching digital electronics, digital electronics system design and programme engineering. He has integrated modern technical development into his own research and started many new academic modules at the University of Liverpool. His academic research interests include the development of vision-based sensors and control systems to be used in advanced robotic systems for automated welding and other manufacturing processes, the development of advanced digital systems based upon SOPC devices and parallel processing systems, and the development of neural network and fuzzy logic techniques to allow the fusion of data from a number of sensors to provide control information. Other areas of research include the development of a networking system based upon the CAN bus, the development of robotic manipulator controllers, and the development of an advanced remotely operated underwater vehicle (ROV) requiring the integration of vision and manipulator systems along with sophisticated navigation techniques. 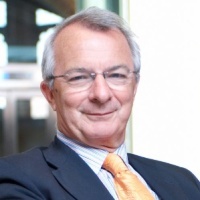 Patrick Hackett previously served as deputy vice-chancellor of the University of Liverpool. In 2005, he was appointed director of Facilities Management and subsequently appointed as chief operating officer. The University of Liverpool has a turnover in excess of GBP 525 million and over 40,000 students, both of which have doubled since 2005. As well as supporting the vice-chancellor in providing strategic leadership across the full range of the University’s activities, Patrick continues to lead the unitary professional services of more than 3,000 staff and a range of transformational projects. An architect by profession, Patrick has previously held senior leadership positions at the University of Reading and Royal Holloway, University of London. He has also been a consultant, advising higher education institutions across the UK on facilities management organisation and development, and the delivery of major capital projects. Previously, he has been a non-executive director at Aintree University Hospitals NHS Trust. An experienced business leader for global Fortune 500 companies, Victor Chen led or participated in many new venture developments for his employers: such as P&G’s Pampers Baby Care Launch in China and the establishment of Whirlpool’s Asia Pacific headquarters in Shanghai. During XJTLU‘s early development stage, Mr Chen participated in formulation of the vision, mission, strategy for XJTLU and the innovative university organization structure. Mr Chen later joined Laureate Education, the biggest private higher education network in the world, and took the roles such as CFO for China and chairman of the board of Hunan International Economics University. 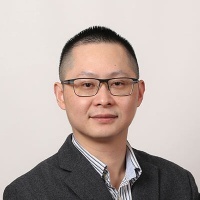 Mr Chen obtained his bachelor degree in economics from Zhongshan University, major in finance and minor in philosophy; he received his MBA from the Sloan School of Management at Massachusetts Institute of Technology. 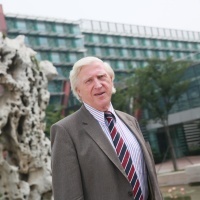 Professor David Sadler was appointed vice president (academic affairs) at XJTLU in May 2010. Before he took office, he was acting executive pro vice-chancellor for the Faculty of Humanities and Social Sciences, dean of the Faculty of Social and Environmental Studies, and head of the Department of Geography at the University of Liverpool. Professor Sadler studied geography at the University of Durham and was awarded the degree of Doctor of Philosophy in 1986. Following his degree studies he became a lecturer and a reader in geography at the University of Durham. In 2002, he was appointed professor of economic geography at the University of Liverpool. He is now a member of the University of Liverpool Management School. Professor Sadler was editor of European Urban and Regional Studies from 1994 to 2008 and has published six books and more than 100 reports and papers in major journals. His management expertise covers university governance and strategic planning. He was a member of the University Strategic Management Team and chair of the Faculty Management Group at the University of Liverpool. Professor Jianhua Wang gained his bachelors degree in electrical engineering in 1978 from Xi'an Jiaotong University, where he received his masters and PhD degrees in 1981 and 1985 respectively. Since 1992 he has been a professor in the Department of Electrical Engineering at Xi'an Jiaotong University. 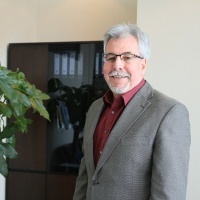 His research fields include high voltage vacuum switch-gear, CAD and CAM technology in electrical apparatus, and intelligence devices in power equipment. 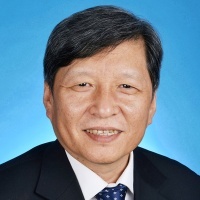 Professor Wang has been the chair of Xi'an Jiaotong University Council since 2003 and is the vice-chair of the Chinese Society of Electrical Engineering and chair of the Chinese Special Committee of Intelligence Device and System in Electrical Equipment. He is the director of a state key laboratory in electrical insulation and power equipment. Professor Sir Howard Newby was appointed vice-chancellor of the University of Liverpool in August 2008. He previously served as vice-chancellor of the University of the West of England. Before that he was chief executive of the Higher Education Funding Council for England (2001-2006) and president of Universities UK (1999-2001). He was vice-chancellor of the University of Southampton from 1994 until 2001, and chairman (1988-1994) and chief executive (1994) of the Economic and Social Research council (ESRC). Professor Sir Howard was awarded a CBE in 1995 for his services to social science and a knighthood in 2000 for his services to higher education. He studied for his bachelors and PhD degrees at the University of Essex. Following his degree studies he became a lecturer and senior lecturer in sociology at the University of Essex. In 1979, he was appointed professor of sociology and rural sociology at the University of Wisconsin, before returning to Essex as professor of sociology in 1983. As an active researcher, he has created a substantial portfolio of co-authored books and papers. Professor André Brown brought his extensive experience in academic governance and leadership to the role of vice president for academic affairs at XJTLU from 2014 to 2017. Prior to joining XJTLU he was the head of the School of Architecture and associate dean in the Faculty of Social and Environmental Studies at the University of Liverpool. He was also head of Combined Honours for four years reflecting his enthusiasm and support for a wide range of disciplines and inter-disciplinary study. Professor Brown’s research and teaching has focussed on innovative technologies in architecture and related fields. He has published books on smart cities and key technological innovators, such as Peter Rice, plus more than 100 papers in the field. He has won international awards for his research-related work. He maintains a strong link to his professional industry - he was president of the European Organisation for Research and Education in the Field of Digital Architecture and is currently editor in chief of the International Journal of Architectural Computing, which has become a key journal in the field. Professor Barry Godfrey joined XJTLU in August 2017 as vice president for academic affairs. He held a PhD in Social History from University of Leicester since 1997 and has over twenty years of experience in teaching and research. 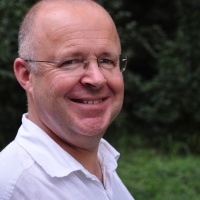 Professor Godfrey began his academic career at Keele University, joining in 1995 as a junior lecturer and leaving as professor of criminology and director of research in 2011. Since joining the University of Liverpool, he has continued his research in comparative criminology, particularly international crime history; desistence studies; and longitudinal studies of offending, and became faculty lead for research, later associate pro vice-chancellor (research and impact) for Humanities and Social Sciences at the University of Liverpool. Professor Godfrey’s major theoretical contribution has been to apply biographical methods to historical data to answer modern criminological questions. The results of several externally-funded projects have been published by Oxford University Press, and he will publish his seventeenth book this year. Currently he is leading the Digital Panopticon, which is a major collaboration between the universities of Liverpool, Oxford, Sheffield, Sussex and Tasmania. 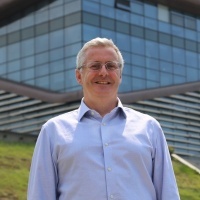 Professor Godfrey has established research and teaching collaborations with leading international universities, and led the launch of a new thriving teaching venture in Singapore in collaboration with the Singapore Institute of Technology. Professor Wang earned his bachelors, masters and doctoral degrees in engineering from the Department of Mechanical Engineering of Harbin Institute of Technology. 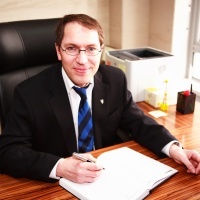 He has held a number of senior academic positions, including vice president of Harbin Institute of Technology. In 1999 he was appointed as director of the Science and Technology Department of Heilongjiang Province, while from 2002 to 2014 he was president of the Harbin Institute of Technology, and a representative at the 10th, 11th and 12th National People's Congress. 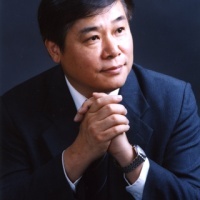 Professor Wang’s research has focussed on the fields of robot autonomous control theory, sensor technology, space robot technology, medical robot systems, medical equipment and instruments, biomedical image processing, and computer-aided medical technology. 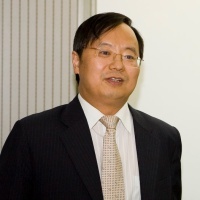 Professor Minzhu Yang was the Vice President for Student and Information Affairs at XJTLU from August 2008 until March 2019. He brought to this role extensive experience in student recruitment, student experience, career development, alumni connections, information technology, marketing and communications from a career in higher education. Professor Yang holds a bachelor degree in Science （1982）and a master degree in Management Engineering （1986）from Xi’an Jiaotong University. He completed his PhD in Management Engineering in 1996 after studying through the joint PhD programme delivered by Xi’an Jiaotong University and Saint Mary University (1989 to 1990). 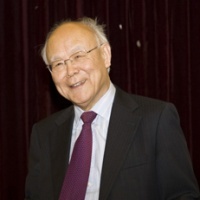 Prior to joining XJTLU, Professor Yang undertook various roles in teaching, research and management at different levels at Xi’an Jiaotong University, including Director of the Experiment Centre, Director of the Advanced Training Centre, Vice Dean of the Management School, and Director of the Student Career Development Centre.